Here is a beautiful love picture which expresses the feeling of missing your love. 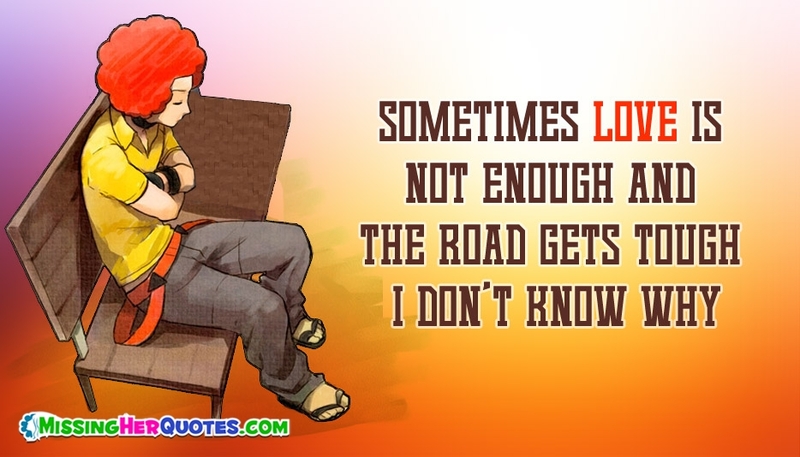 The picture portrays a lonely sad person thinking of his missing love and the missing her message "Sometimes Love is Not Enough and the Road Gets Tough I Don’t know Why". Sometimes we do not know the reason for all the happenings and we ask ourselves why is this happening to me. Share this picture and express your agony.